An outgoing extrovert, our new team member Katie digs design and tacos. Learn more about this kooky, creative creature. 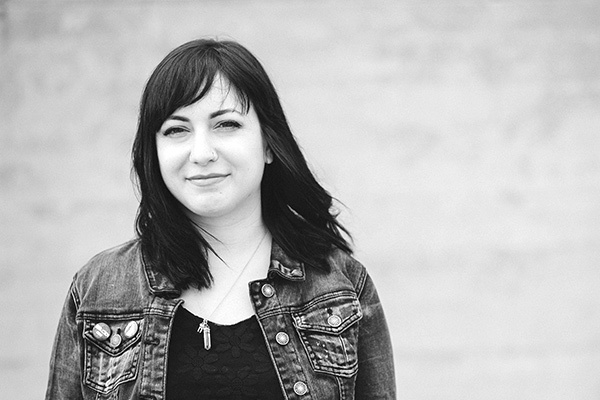 We’re thrilled to have Katie Kovalcin join our team as a designer. Not only is she incredibly talented, winning Net Magazines’ Young Designer of the Year in 2014, she’s also incredibly humble and loves to collaborate and teach. Katie fell in love with typography and layouts when she took a design class on a whim at Columbus College of Art & Design where she ended up earning her Graphic Design degree. Her design passions don't stop in Photoshop: she also loves refining animations and interactions in browser. Back in 2011 we first met Katie when she attended one of our first Build Right: Build Responsively workshops. And since then she’s been on a quest to build the web right, blending beauty and function with a crazy attention to detail and admiration for all the steps and people involved in building a site. When she isn’t working, Katie is learning and sharing what she knows with the web community through writing articles for her personal blog in addition to other publications like Net Magazine. She believes in girl power and has taught typography and responsive web design for organizations that help women learn to code like Girl Develop It and Skillcrush. Katie also enjoys speaking at conferences about design and collaboration. There’s also a good chance she’s hanging out with her dog, Falco (an adorable husky/corgi mix); reading real, live, actual physical books; eating tacos; traveling; making excellent puns; or doing other fun things as an outgoing introvert. She’s a pretty cool lady you should really get to know, so say “hi” on Twitter or check out Katie’s site.